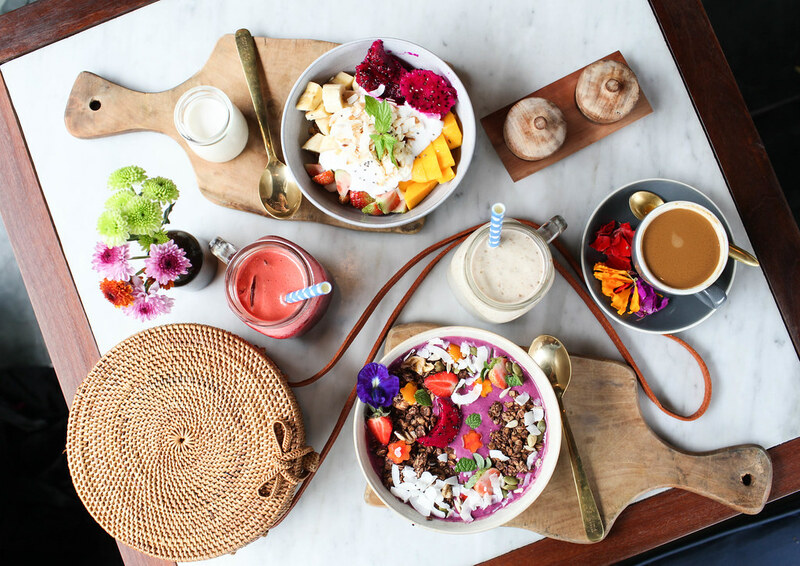 On those balmy Bali days, nothing is more satisfying than digging into a frozen smoothie bowl piled high with exotic fruits and nowhere does them better than this health-conscious island. 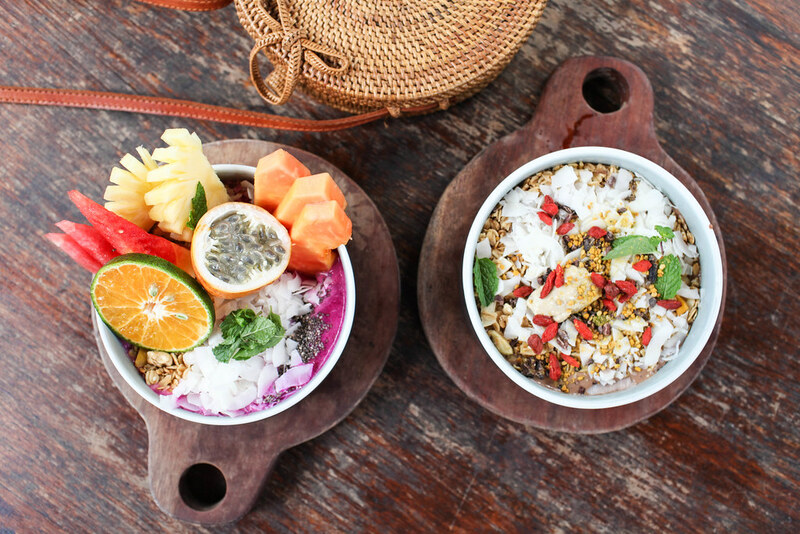 Here is the ultimate guide to help you find the very best smoothie bowls in beautiful Bali. 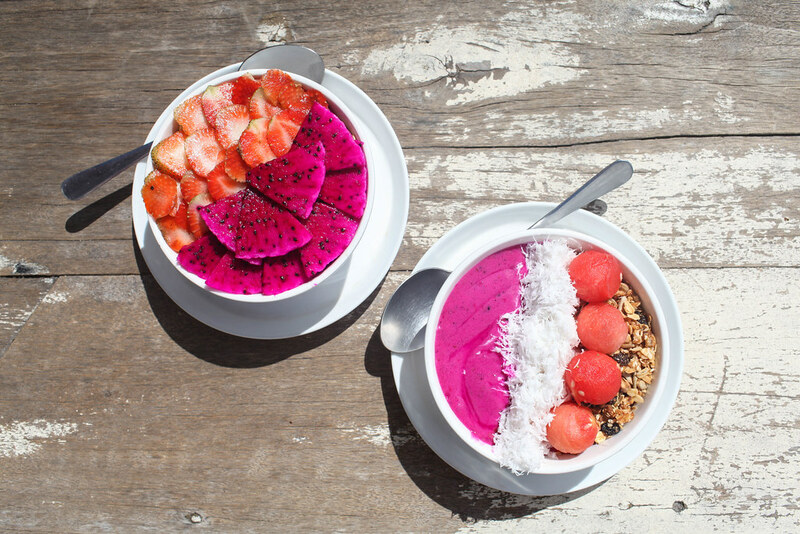 Without a doubt Nalu Bowls serves up the best smoothie bowls in Bali. The concept is simple: pick your smoothie base of choice and they’ll load it with amazing toppings. My favourite flavour is the J-Bay, which is made from peanut butter, banana and honey and topped with your selection of nutritious toppings. 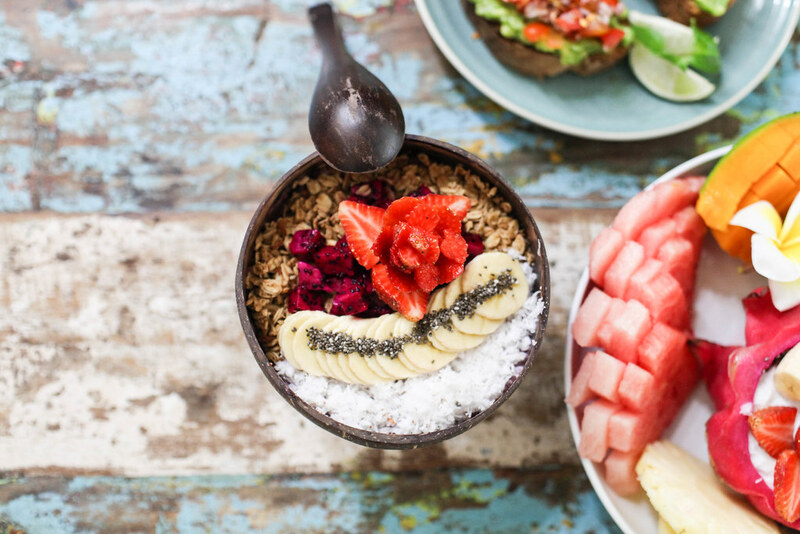 The Moonshine Morning Bowl at this vegan café is a thing of beauty. It tastes insane and is decorated with moon-shaped dragon fruit, edible flowers and star-shaped watermelon. 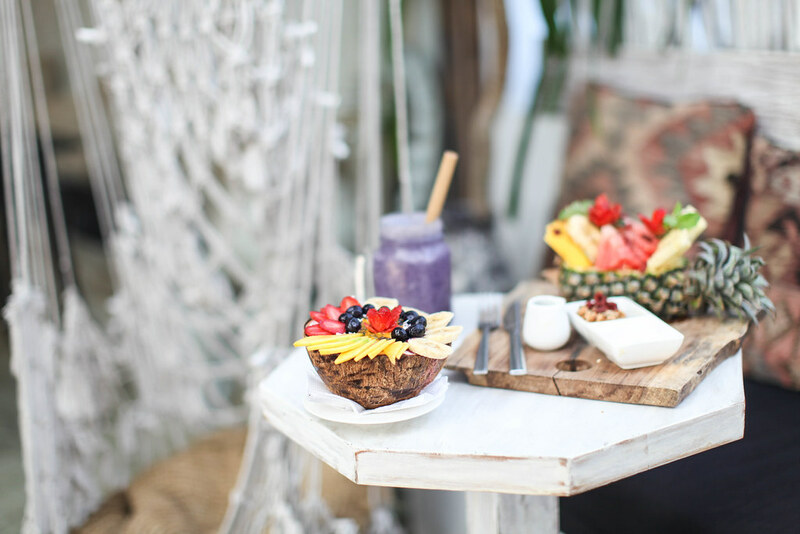 The Balinese dragonfruit base is pimped out with chocolate granola, banana chips, cacao and fresh fruits. Sisterfields can do no wrong in my eyes and their acai bowl is testament to that. This massive bowl of goodness is bursting with flavour. Topped with homemade granola, sliced strawberries, fresh mint leaves and edible flowers, it almost looks too pretty to eat. 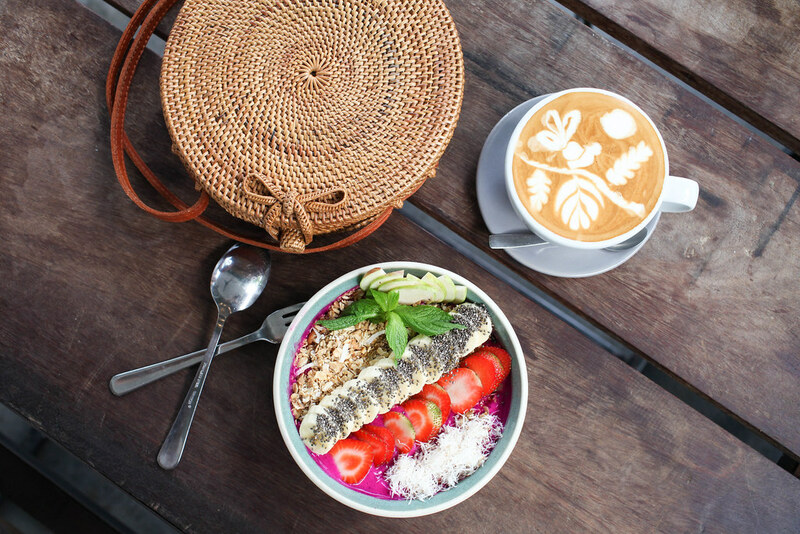 One of the best smoothie bowls I ate in Bali. 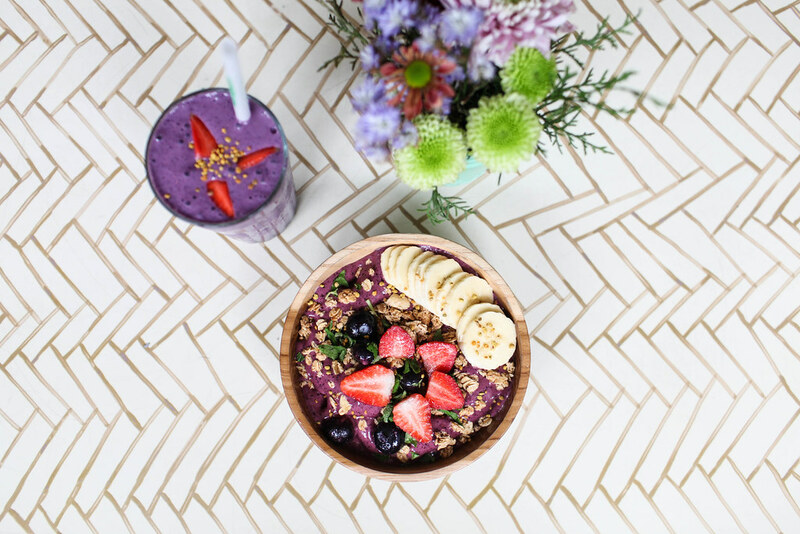 Frozen acai is layered with crunchy granola and topped with blueberries, strawberries, banana and bee pollen. Make sure to order their delicious acai smoothie to match. This newly opened vegan café already has queues out the door. One glance at their tasty menu and tropical interior and you can see why. 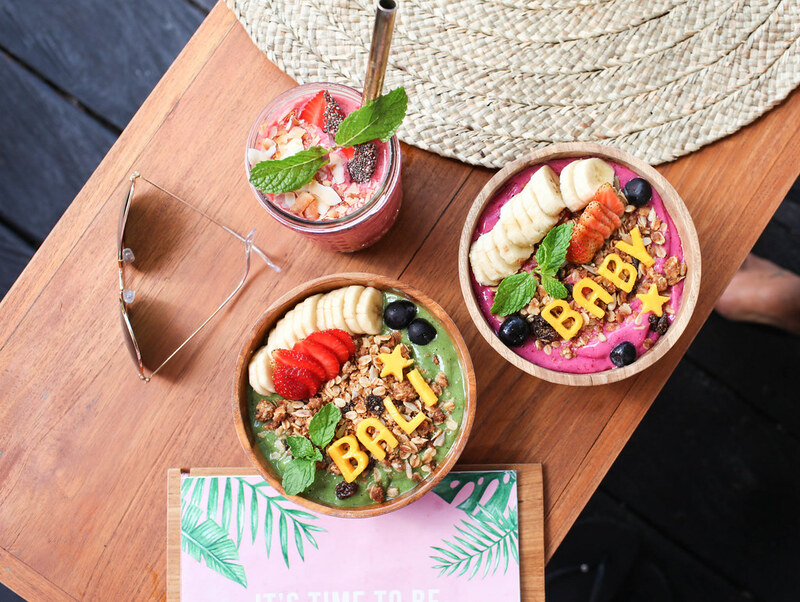 Their smoothie bowls are decorated with cute mantras such as ‘Bali Baby’ or ‘Be Kynd’ sliced from fruit. 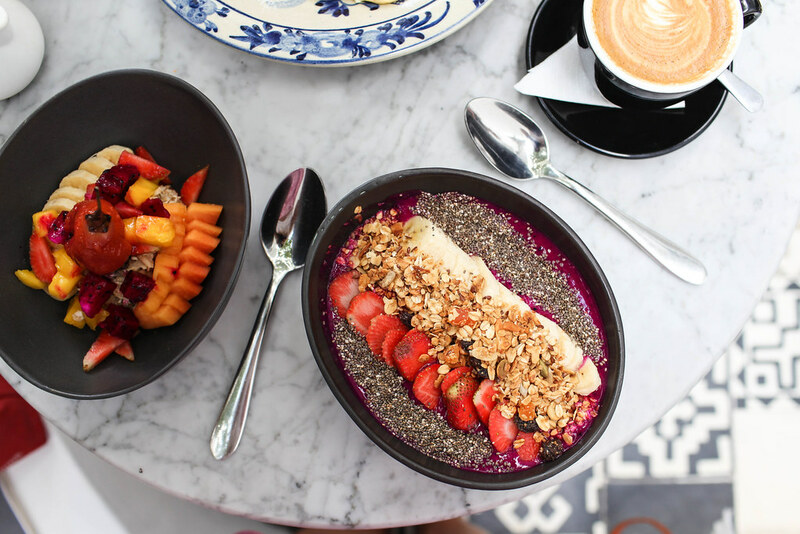 Their Berry Tropical bowl is made dragon fruit and mixed berries and topped with granola, strawberries and sweet dukkah. Buzzing with expats every hour of the day, Crate Café is one of the busiest cafes in Canggu. This has much to do with tasty dishes and reasonable rates. 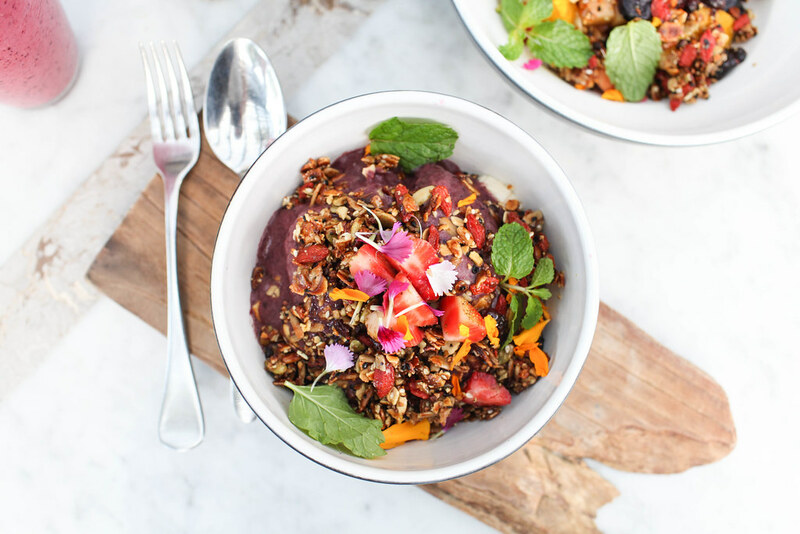 Their smoothie bowls are generous and bursting with flavour. I opted for the Bowlarama which is a thick dragon fruit smoothie base topped with granola, watermelon balls and shredded coconut. 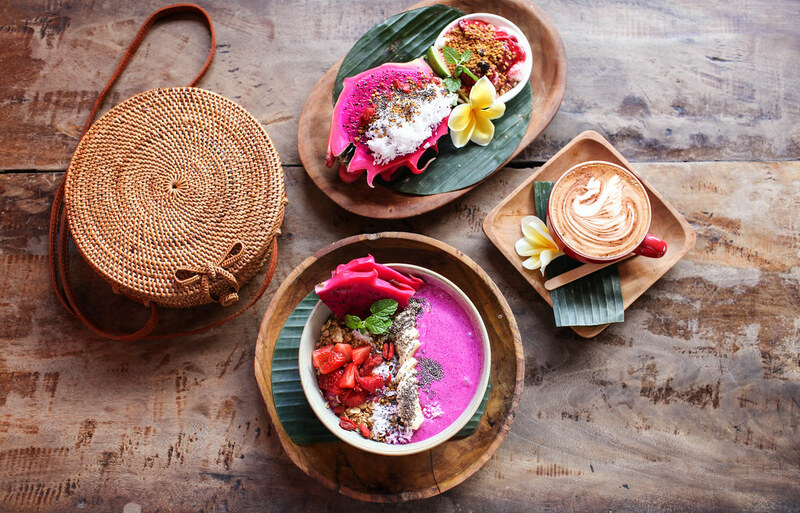 Betelnut has become somewhat of an institute in Canggu attracting a constant queue of hungry customers. Dishes are flavourful and prices are low so it’s easy to see how it has gained such popularity. 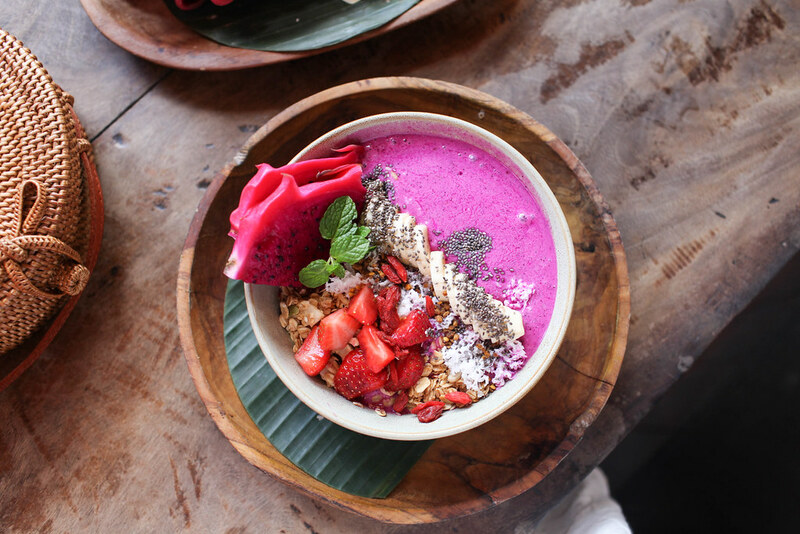 Their signature Naga Bomb gets rave reviews made with a dragon fruit base and topped with granola, desiccated coconut, goji berries, chia seeds and strawberries. 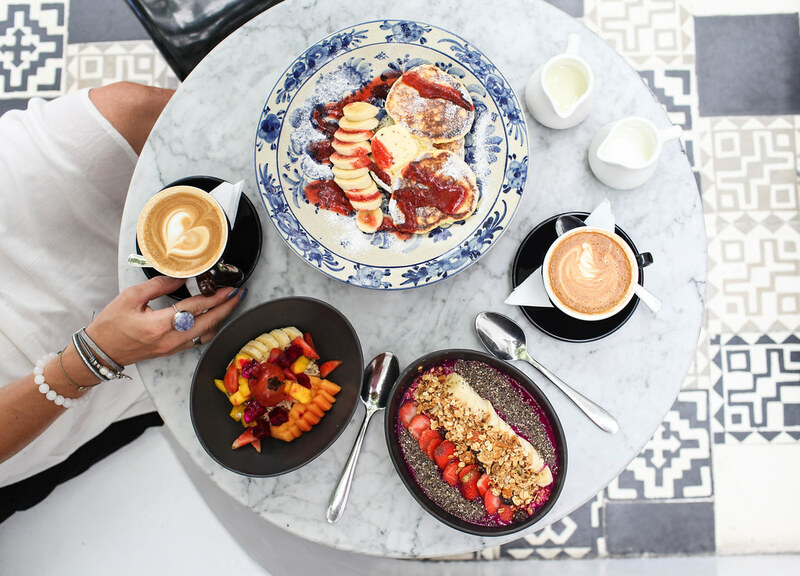 This cool café is a local favourite with its chalkboard menu and laidback vibes. 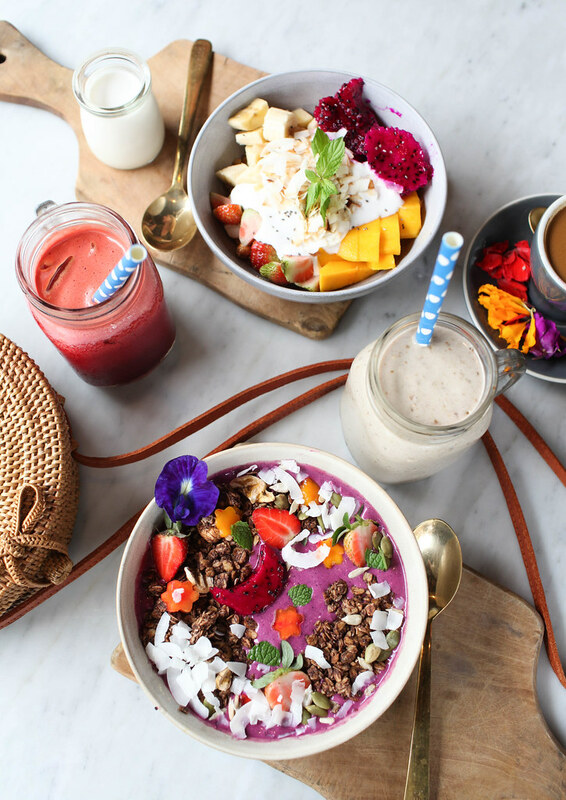 They offer a couple of different smoothie bowls including the classic Brazilian acai bowl and the Balinese Pitaya bowl. 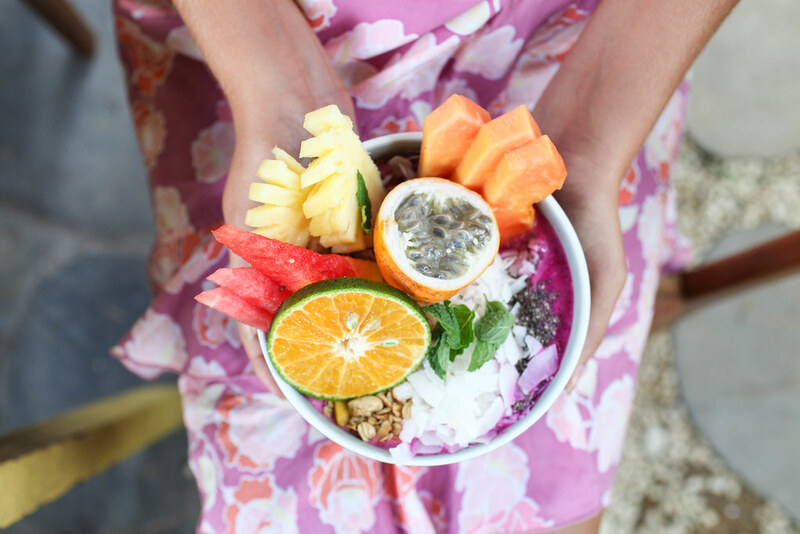 I went for the Pitaya bowl which is made from a thick and creamy dragon fruit base and topped with a selection of fresh fruits and superfoods. This one makes it to the list for aesthetics rather than taste. Served inside half a coconut and decorated with beautifully sliced fruit, it gets top points for presentation but the flavours are somewhat lacking. But if you’re looking for that Instagram shot, this is where you’ll get it. 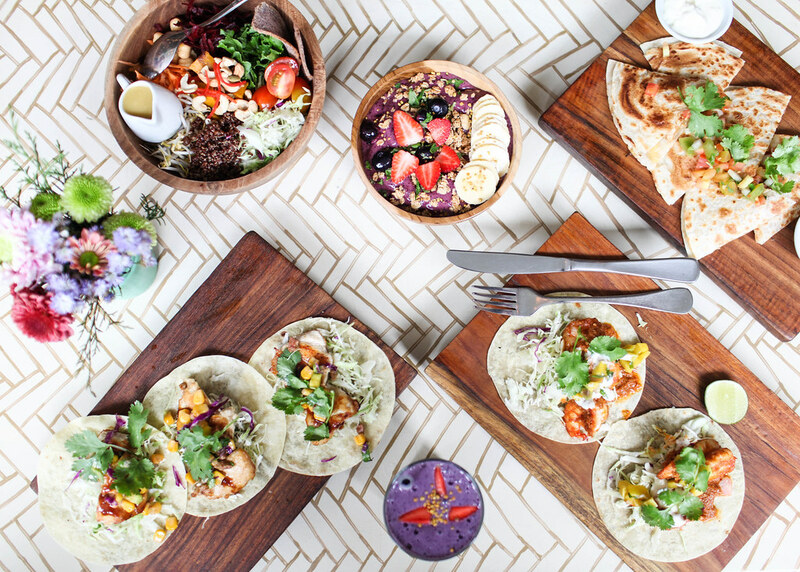 Shady Shack is everyone’s favourite veggie hangout. 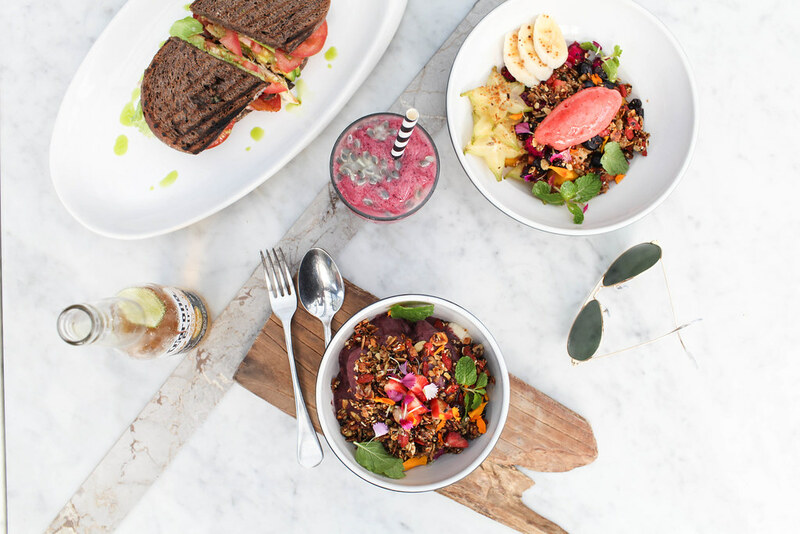 Think hearty salads, creamy smoothies and overflowing smoothie bowls. 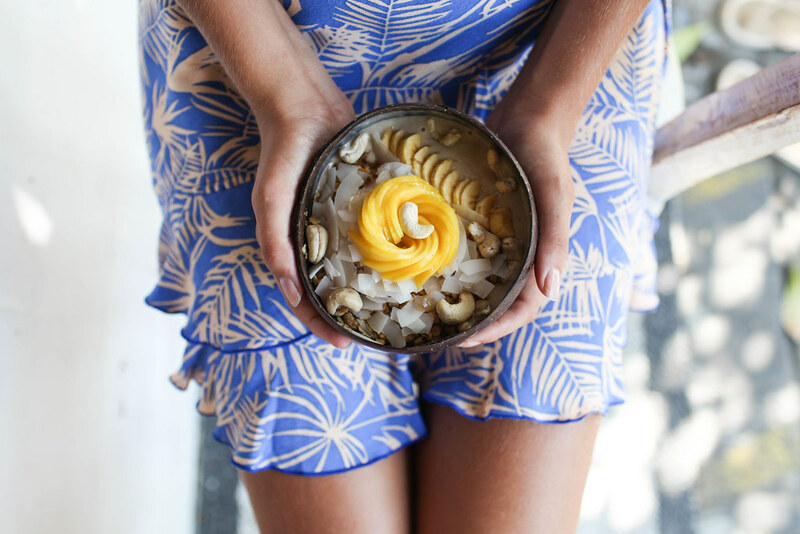 Ideal for tropical fruit lovers, their smoothie bowl is overflowing with exotic fruits including papaya, pineapple and passion fruit. 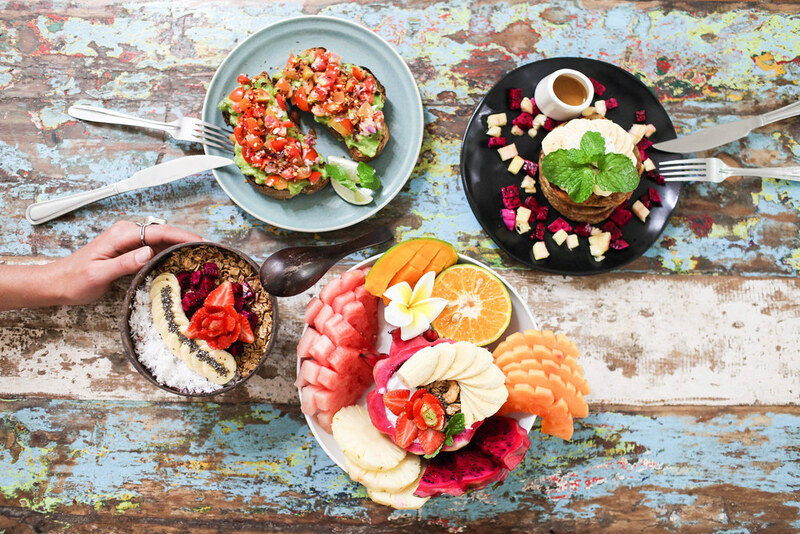 This vegan café is one of Bali’s best-kept secrets. 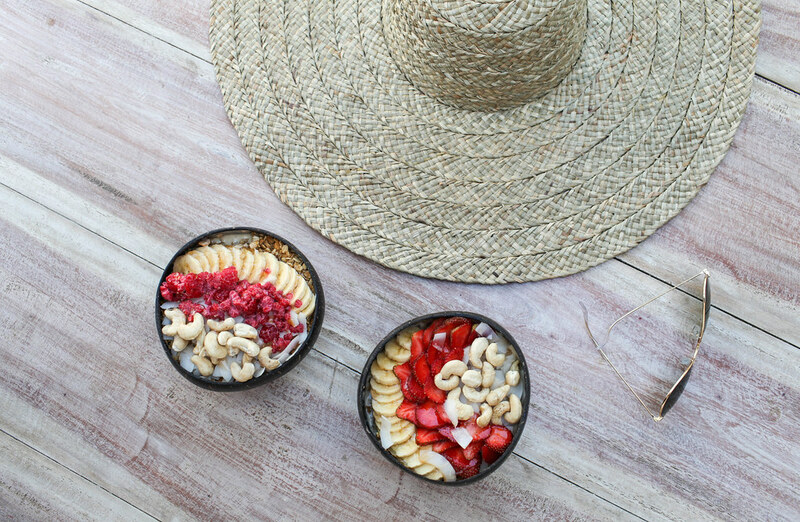 To fill up and cool down in the sticky heat, order their fruity smoothie bowl. 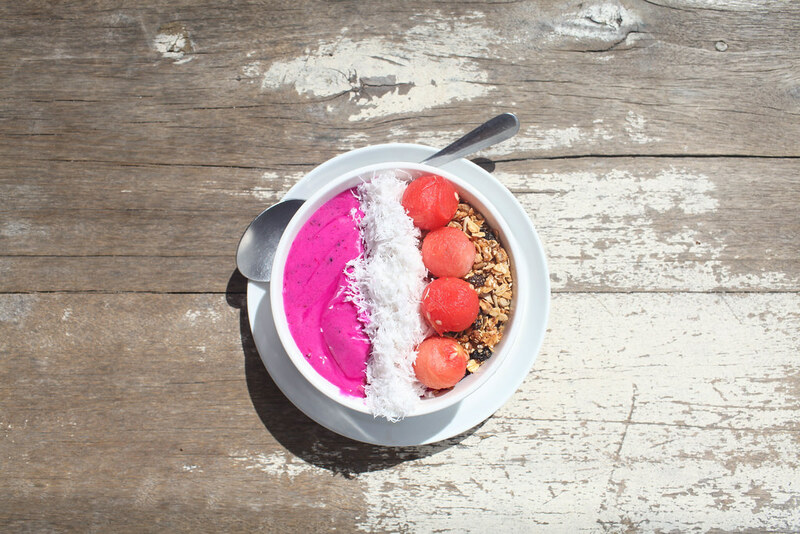 It’s bursting with all the flavours of the island: dragon fruit, coconut and banana. 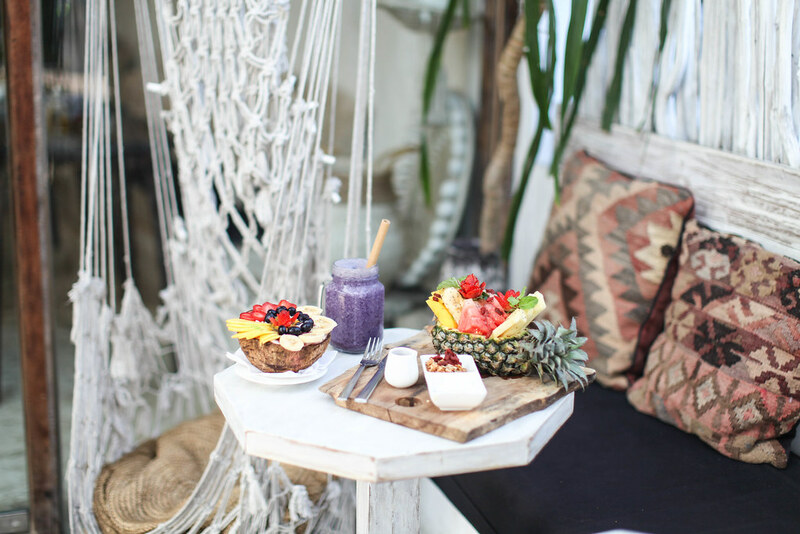 This hippy chic homeware store is the only place you need to go if you're kitting out a Balinese villa, but it also doubles as a beachfront cafe. 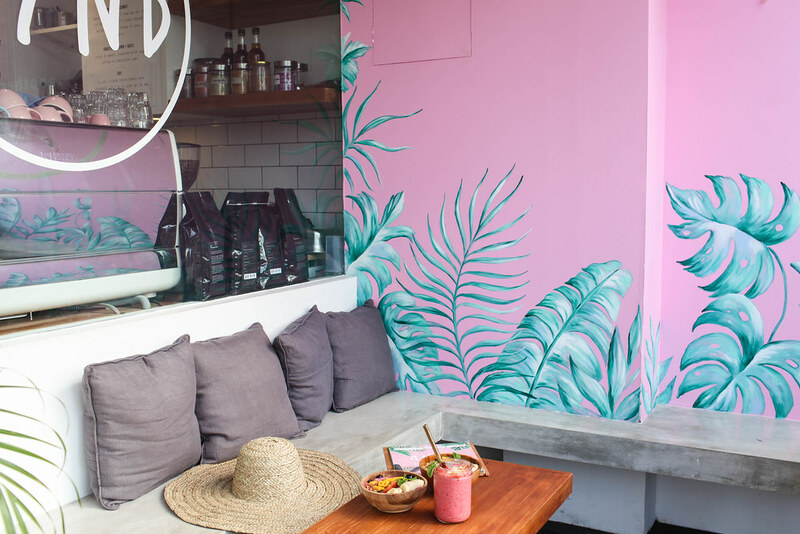 After you've polished off their dragon fruit and berry smoothie bowl, take a peek inside the bohemian store and try not to buy all of the unique pieces inside.